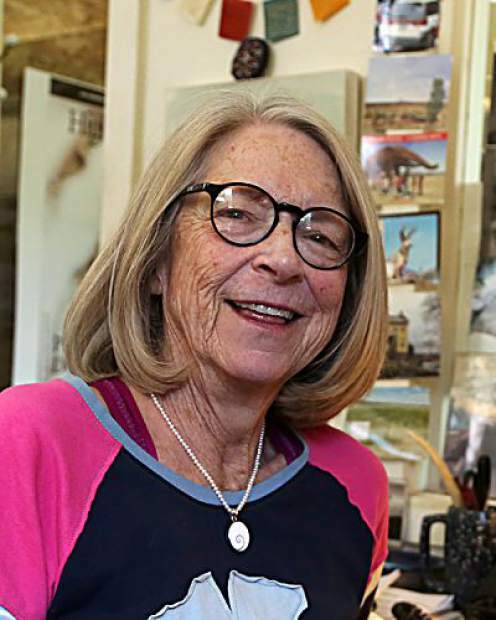 Sajean Geer had just one goal in mind for her 71st birthday this July: She wanted to scatter the ashes of her late husband, Jack, in Washington’s Olympic National Park. He’d recently died of a heart attack after 34 years of marriage, and Obstruction Point in the park was one of his favorite places in the world. Walking and sometimes running along the trail, she found herself consumed with emotion, she told Seattle Times reporter Evan Bush. It was only after spreading her husband’s ashes that she realized she’d become hopelessly lost. But Geer possessed enough knowledge to behave intelligently during the six long nights she and her only companion, Yoda, a tiny Chihuahua mix, lived in an improvised shelter of logs and branches. She recalled books she’d devoured years ago that featured accounts of foraging and improvising a campsite. So while Geer knew her predicament was dire — not a soul knew where she’d gone — she recalled the basics of survival: Find water and shelter, avoid injury, and stay visible in case rescuers appear. A positive attitude also was key, she said. “You have to have something in your head to keep you motivated and alive,” she said. Lost hikers sometimes get lucky. On July 1, in Yosemite National Park just before sunset, a wilderness law enforcement ranger on a routine backcountry patrol in the Tuolumne Meadows came upon three separate groups — seven hikers altogether — and all confessed they were lost. It was just by chance that the ill-prepared hikers were found, said the park’s Search and Rescue Office, and it’s a good thing they were. The ranger said it took some serious route-finding though snow-covered terrain at night to bring everyone safely out of the park by 11 p.m. By then, one hiker was suffering from altitude sickness and another was asthmatic. Park officials urged all hikers equip themselves with topographical maps, a compass and perhaps a GPS — not to mention some “mastery of these items” — plus headlamps and extra batteries. Hikers also should be warned that cairns — stacked stone markers — are sometimes randomly placed and send people in the wrong direction. A 19-year-old camp counselor in Colorado who’d chosen to sleep on the ground outside his tent woke up in the night to hear a strange “crunching sound,” reports The Week magazine. Then he realized what it was: A black bear had his head in its mouth. “The crunching noise, I guess, was the teeth scraping against (my) skull.” Thinking fast, the counselor, whose injuries were minor, punched the bear, which backed off and fled. Betsy Marston is the editor of Writers on the Range, the opinion service of High Country News (hcn.org). Tips and photos of Western oddities are appreciated and often shared, betsym@hcn.org.